The New Balance 1500GGB was a collaboration between New Balance and Berlin sneaker boutique Solebox founder Hikmet Sugoer. Hikmet reworked the 1500 silhouette with the perfect amount of contemporary and classic design. The New Balance 1500GGB features grey, black, and forest green suede with a clean white mesh toe box, white midsole, and grey/black outsole. As the name suggests, there are only 150 pairs of this shoe, and to acknowledge this, Hikmet provided laces with ‘Solebox’ and ‘1of150’ on them. For an in-depth look at the history of the New Balance 1500 check out our deep dive here. 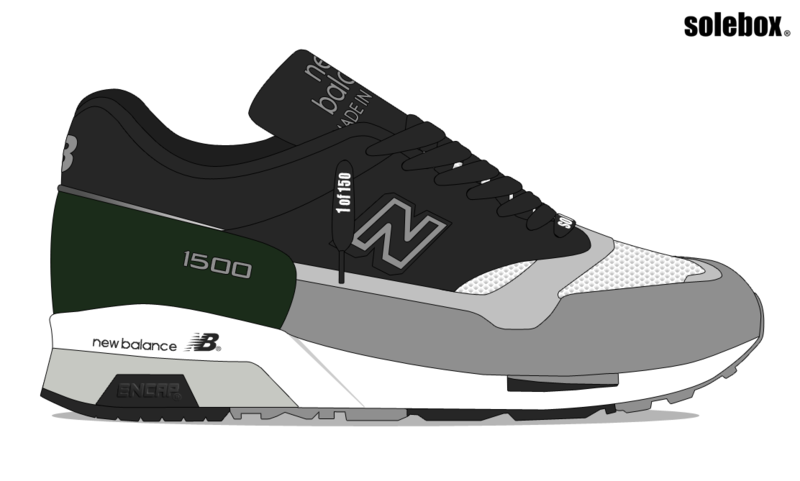 For our exclusive interview with Matt Kyte, the man behind the New Balance 1500 archive, go here. Check out all things New Balance 1500 on our marketplace here.